Catalyzing sustainable jobs and livelihood opportunities for rural women weavers in Karnataka. That was the joint aim Antrix Corporation Limited, Women on Wings and online social marketplace GoCoop, when they launched their program in 2017. 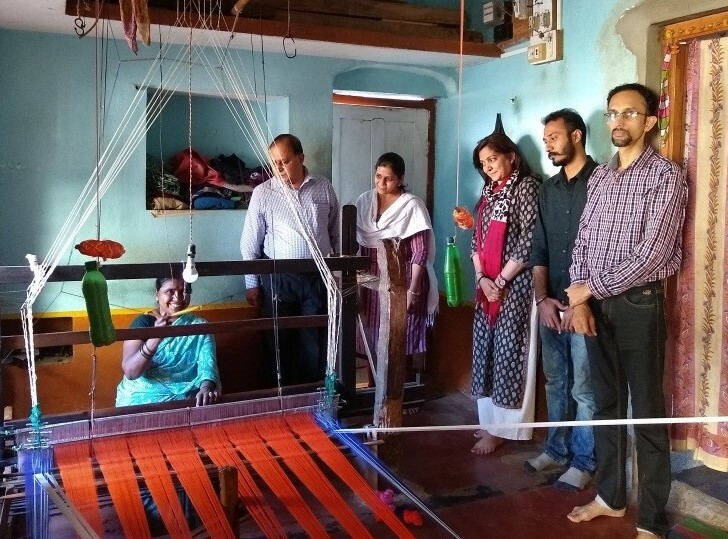 Measurable impact of sustainable and scalable livelihood opportunities was the red threat over the course of the program which started with a survey of over 160 artisans in the Ikkal and the Khadi cluster, both situated in Hubli in the state of Karnataka. The survey was conducted to understand the socio-economic status, earnings per month and the age of the artisans. The program also aimed at creating an identity for the artisans and generate awareness for the art, skill upgradation for 100 women weavers with respect to new product development and market enablement through online and offline sales channels. The design team of GoCoop, India’s first online social marketplace, created new designs and innovative techniques to be imparted to the skilled women artisans who were guided by GoCoop’s team to ensure the best quality of the products. Women on Wings conducted several workshops with GoCoop’s team on internal processes and brand building prior to launching its ‘The Good Loom’ brand under which the products were to be sold, both online and offline. Various exhibitions and events were identified as a showcase for the new products, next to GoCoop’s own online marketplace. The Lakmé Fashion Week was one of high profile events during which the fabulous new products were presented. Many of these events also created a huge buzz around the brand, the craft and the weavers behind the products. Antrix Corporation Limited, the commercial arm of the Indian Space Research Organization (ISRO), funded the program under its Corporate Social Responsibility activities. GoCoop is India’s first online social market place which provides rural artisans a marketplace so as to improve their economic conditions and keeping handicrafts alive at the same time. Women on Wings aims to co-create one million jobs for women in rural India and partners with social enterprises that employ these women.